The National Science Foundation, or NSF, issued more than $2 million in grant funding to COSAM’s Overtoun Jenda, assistant provost for special projects and initiatives and professor of mathematics, for a five-year, multi-institutional, collaborative project titled, “Making to Advance Knowledge, Excellence, and Recognition in STEM,” or “MAKERS.” Co-primary investigators on the project are Auburn’s Asheber Abebe, professor in the Department of Mathematics and Statistics, and Alan Wilson, associate professor in the School of Fisheries, Aquaculture and Aquatic Sciences. The grant is part of NSF’s Scholarships in Science, Technology, Engineering and Mathematics, or S-STEM, Program, which addresses the need for a well-educated STEM workforce in the U.S. as a means of maintaining the competitiveness of the U.S. in the global economy. The S-STEM program also strives to encourage increased success of low-income, academically talented students with a demonstrated financial need who are pursuing associate, baccalaureate or graduate degrees in STEM. The MAKERS project model is designed to implement and assess a comprehensive list of evidence-based interventions that will facilitate increased student retention and prepare scholars for graduation and future careers in STEM fields. For example, the MAKERS project will integrate STEM enrichment, research and peripheral activities such as "Learning by Making," which will involve interdisciplinary scholar clusters that serve to identify and investigate problems affecting local communities and apply their STEM knowledge to "make" a product that has the potential to solve the problems. MAKERS is a $5 million consortium consisting of Alabama A&M University, Auburn University, Auburn University at Montgomery, Lawson State Community College, Southern Union State Community College, and Tuskegee University (lead institution) with evaluation support from Oakland University. During the project, the consortium will provide scholarships of up to $10,000 that are renewable for up to 4 years, to as many as 158 students majoring in biological, physical, mathematical, geological, and computer and information sciences; engineering; and associated technology areas. 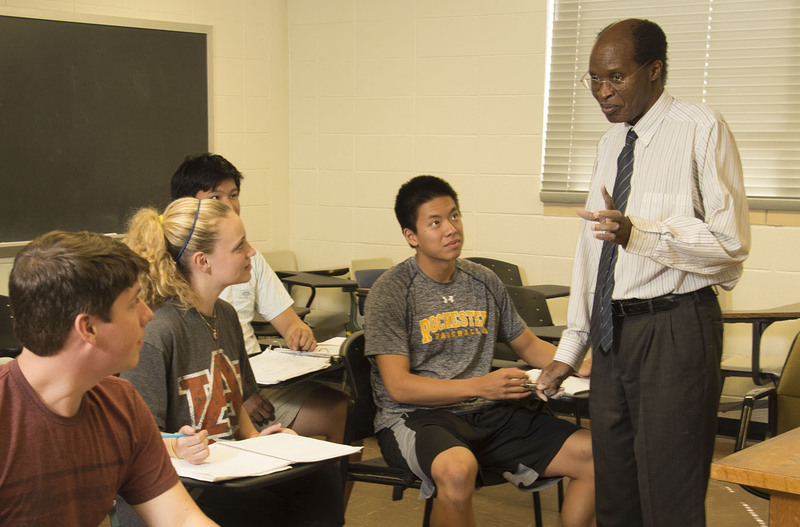 Overall, the team will work to increase student retention and graduation rates; prepare students with the STEM academic foundation, professional skills and experiences needed to enter the STEM workforce or graduate school in STEM disciplines; and investigate the MAKERS model impact on recruitment, retention, success and graduation of students in the target population and majors. For more information on the MAKERS project, click here. For more information on the NSF S-STEM program, click here.